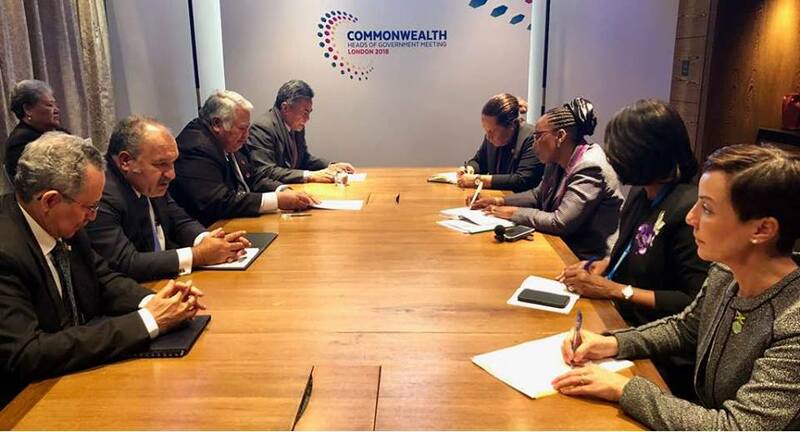 Papua New Guinea Prime Minister, Peter O’Neill has begun his range of high level meetings at the Commonwealth Heads of Government Meeting (CHOGM) with a courtesy call to HRH Prince Andrew KG, GCVO, CD, ADC, The Duke of York. During the meeting at Buckingham Palace on Wednesday, the Prime Minister and the Duke of York discussed issues of relevance for Papua New Guinea and the Commonwealth. “Prince Andrew is clearly concerned by the recent Highlands earthquake and expressed his sympathies following the disaster,” the Prime Minister said from London. “In almost all of our CHOGM-related meetings today, for myself, the Foreign Minister, and senior officials, there was clear concern at the loss of life in the earthquake. “We certainly thank Prince Andrew and our Commonwealth counterparts for their concern, and the support that has been received from partner countries for relief operations. “There are a number of Commonwealth countries that experience earthquakes and other natural disasters, and it is important to share information to enhance planning and future responses. The Prime Minister said his discussion with the Duke of York was wide-ranging and covered a range of issues relevant to development and regional engagement. “Prince Andrew is certainly familiar with Papua New Guinea, having visited our country as recently as the Pacific Games in 2015. "One of the important messages that we are carrying to our Commonwealth partners and business representatives is that Papua New Guinea is a country that is changing. "We are transforming our nation from traditional communities to a modernising economy in the space of a generation. "This brings with it challenges, but is also changing lives, particularly over the past seven years that our Government has been in office. "Particularly in the area of healthcare and education, Prince Andrew is familiar with development in other Commonwealth countries so his views and observations are welcome. "The policies that we are delivering in education and healthcare is delivering clear benefits to our people and empowering our young generation. "Around the Commonwealth, a range of development models and policies have been implement with varying results. “Papua New Guinea is on the right path.